Looking for a carpenter or joiner in the Waterlooville or Clanfield area? Chris Brown is an established fully skilled carpenter and wood working professional who provides joinery services. Chris Brown Joinery is a specialist bespoke joinery business that works in partnership with private clients, main contractors, project managers, architects and designers, looking for standards in quality and excellence. Previous projects have included box and sash window frames, staircases, casement windows, doors, gates and small to medium sized furniture items. We offer clients a bespoke joinery service, by design or work from provided drawings, to create and install your joinery products to the highest of standards. With over 10 years of professional carpentry and joinery experience, Chris Brown is proud to continue the traditional way of joinery as taught to him by Len Scott. Working with oak, pine or mahogany (just to mention a few types of traditional wood) is something that I have now done for over 10 years. I was very fortunate that I had the opportunity to be taught by one of the best joiners in Hamsphire - Len Scott. Working alongside with Len and Colin Titheridge, my mentor, I developed the skills and expertise to understand and work with wood, and we have produced so many outstanding items from staircases to window frames, from solid doors to gates. 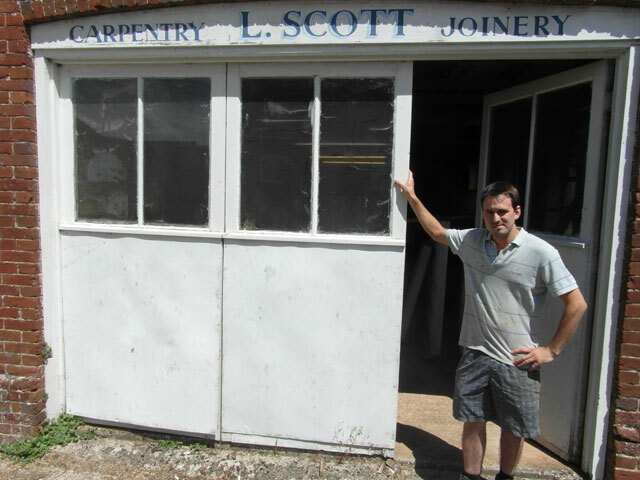 You can read more about Chris and look back in history at Len Scott Joinery of Clanfield.